My Home and Garden: Summer is just around the corner...here's the proof. Summer is just around the corner...here's the proof. 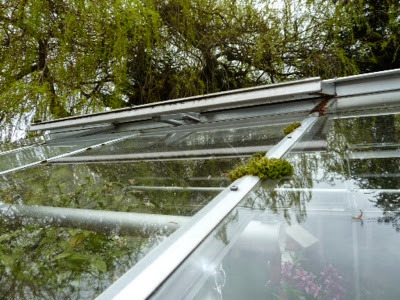 Here is the roof of my greenhouse. Look at the vent. It is solar powered so it opens automatically when it gets hot in the greenhouse. Today is the first day this year that the vent has opened. I knew it was going to be a great gardening day. It was almost 17 degrees celcius.